Caitlin joined O'Brien & Ryan, LLP in 2014, where her practice concentrates on medical malpractice defense. 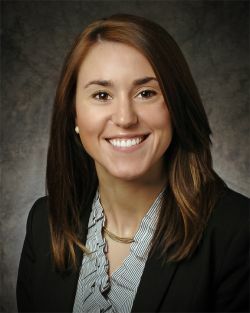 Prior to joining O'Brien & Ryan, Caitlin clerked for the Honorable Emil Giordano at the Northampton County Court of Common Pleas where she was exposed to a variety of cases, including medical malpractice, family law, contract law, criminal law and various orphans' court matters including will disputes and incapacity proceedings. Caitlin is currently a member of the Young Lawyers Division of the Northampton County Bar Association as well as a member of the Pennsylvania and Montgomery County Bar Associations. Moravian College, Bethlehem, Pennsylvania, 2010, B.A.